You’d never know, from this year’s presidential campaign rhetoric, that anyone in Washington has been paying any attention to economic inequality. Donald Trump has hijacked the Republican Party with his populist rhetoric about working class Americans no longer “winning,” and Hillary Clinton acknowledges at every turn (partly to woo and mollify Democrats who backed Bernie Sanders) that inequality needs addressing. No one seems to recognize the great strides made during the past eight years of Barack Obama’s presidency to mitigate the problem. That’s a shame, because the Obama-era efforts hold important lessons about what’s possible in addressing inequality and how we must do better in the future. As Obama entered office, public consciousness of inequality of income and wealth was on the rise and the Great Recession brought disastrous economic consequences for tens of millions of Americans. In the past 40 years, inequality of income rose faster in the U.S. than in any other nation and the inequality of wealth exceeded that found in any other advanced economy. Obama tackled the problem of inequality from the beginning. The first bill he signed as president was the Lilly Ledbetter Fair Pay Act—an equal pay legislation. Ledbetter had worked for Goodyear for 20 years before learning she was paid less than men for the same job. The law removed the requirement that a petition regarding discriminatory pay be filed within 180 days of the discrimination; it also made any discriminatory paycheck actionable. The American Recovery and Reinvestment Act, the administration’s 2009 stimulus bill, has not received enough credit for assisting poor families and for preventing more people from falling into poverty. The act added $20 billion for food stamps and food banks, support for poor neighborhoods, an increase in unemployment insurance, and $3.5 billion for job training. With an unprecedented 45 million Americans in poverty today, one enduring criticism is that Obama should have focused on a second stimulus rather than his health care bill. Yet the Affordable Care and Patient Protection Act also helped reduce inequality to a degree. The law’s redistributive features are not generally recognized by the public, but they help explain the unrelenting opposition from its reactionary opponents. Obamacare contains higher Medicare payroll taxes on individuals with incomes above $200,000 and families with incomes above $250,000 and it levies fees on the healthcare industry (which has gained millions of new customers from the ACA) and on drug and medical device manufacturers. Obama’s critics, and the president himself, have said he hasn’t done enough to tell the story of this battle against inequality. But it’s not for lack of trying. In December 2011, Obama confronted the unfairness of our economic system in a speech at Osawatomie, Kansas, where ex-President Theodore Roosevelt in 1910 made his historic “New Nationalism” speech calling for a “Square Deal” for the American people. The next month, Obama’s State of the Union focused on restoring America’s promise of opportunity. Always cautious during his first term, Obama waited until after his re-election to talk directly about “income inequality.” Instead, he emphasized fairness and everyone “playing by the same rules.” At the time, billionaire Warren Buffett pointedly disclosed that he was taxed at a lower rate than his secretary (who Obama invited to sit with the First Lady Michelle Obama in the House gallery for the State of the Union), and Obama called attention to the unfairness of hedge fund earnings being taxed at 15 percent; anyone earning over $1 million, he said, should pay an effective tax rate of at least 30 percent. The Republican-controlled House predictably ignored his suggestion. In his campaign for re-election, Obama hammered away at the same themes, while successfully painting his opponent Mitt Romney as an out-of-touch rich guy, with help from Romney’s own mistakes. Once re-elected, in his 2013 State of the Union, Obama spoke directly about income inequality, calling it “the defining challenge of our time.” He promised then, and at other times throughout the year, to devote the rest of his presidency to attacking inequality. The Congress he addressed had reached a milestone: more than half its members were millionaires and the body’s total worth was approaching $5 billion. Obama’s second term is often portrayed as an exercise in futility: the president proposes and the Republican Congress opposes. But that’s not the whole story. In 2013, the president’s give-and-take with Republicans on budget priorities succeeded in increasing tax rates on the highest earners. As Obama prepares to leave office, Americans are only now beginning to consider his overall legacy, and may soon come to appreciate his efforts to combat economic inequality and restore a sense of fairness and opportunity to American life. This happened in two ways: Money in tax shelters got treated like other income and limits were imposed on the deductions high earners can claim. While the “Bush tax cuts” were extended for most Americans, the cuts for those making over $500,000 expired. The so-called 1 percent are now taxed at pre-Ronald Reagan levels. Although most capital gains are still taxed at only 15 percent, more affluent taxpayers in the 39.6 percent income-tax bracket now face a 20 percent rate on their capital gains. The result—the 400 highest earners among American taxpayers are now paying an effective tax rate of 22.9 percent, up from 16.7 percent in 2012, but still down from 26.4 percent in the late 1990s. Obama has also made effective use of his office and executive powers to address inequality. 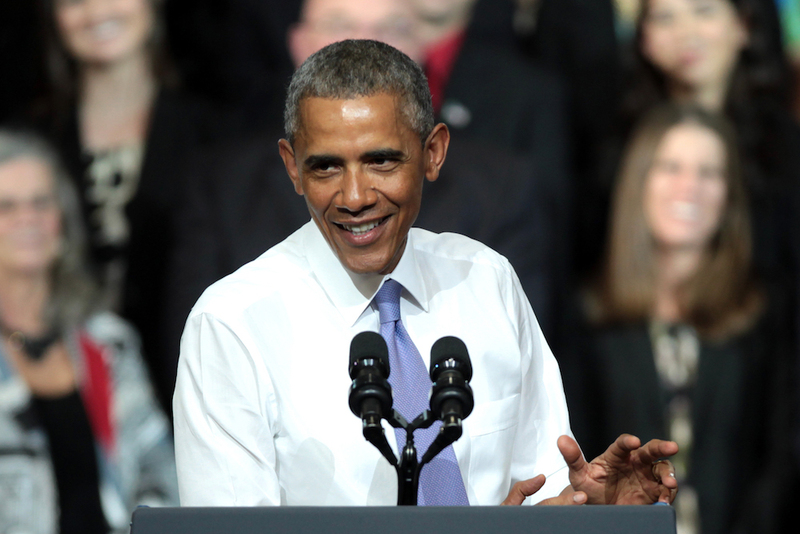 Unable to persuade Republicans in Congress to raise the federal minimum wage, (stuck at $7.25 an hour, and worth far less in real terms than the minimum wage in 1968), Obama has used the “bully pulpit” to advocate higher wages and encouraged a growing movement among states and cities to raise their minimums on their own. In 2014, the president issued an executive order raising the minimum for workers hired by federal contractors to $10.10 an hour. The president also required federal contractors to report wage data to the Labor Department, to prevent abuses and serve as fuel for future action. In early 2015 Obama again resorted to an executive order to give federal workers up to six weeks of paid maternity leave, and asked Congress to extend this to private workers. The president also advocated a Healthy Families Act giving workers in the private sector up to seven days paid sick leave; some 44 million, or 40 percent of the workforce, do not have paid sick leave. Just four states and the District of Columbia, along with 18 cities, have passed laws requiring employers—usually with 15 or more employees—to give such paid leave. Obama’s Labor Department also issued guidelines to help states establish savings plans for private-sector employees whose employers don’t offer them. And Obama has sought to reverse regulations that burden unions. While organized labor was disappointed that the president and Senate Democrats failed to enact legislation making it easier to unionize workplaces, Obama delivered a huge gain for low-wage service workers in his appointments to the National Labor Relations Board. In August 2015, the board delivered a series of decisions by a 3-2 partisan vote making it easier for unions to represent workers in fast food restaurants and retail giants like Wal-Mart. And this May, the Department of Labor announced sweeping new overtime rules that could affect as many as 12.5 million workers. The regulatory action will make it almost impossible for employers, even smaller firms, to avoid paying overtime to workers who put in more than an eight-hour workday. Meanwhile, even as the more progressive wing within Obama’s party would have liked to see more energetic action taken against Wall Street, there is evidence that the complicated financial reform known as the Dodd-Frank is having some effect in reining in the financial sector. Bank earnings are down, and the biggest banks are lending more while preserving healthier balance sheets under tighter regulation. All told, the administration’s higher income tax rates on the affluent, subsidies for health insurance, expanded tax breaks for poor families with children, and other measures, amount to an impressive government counterattack on advancing inequality. Nevertheless, the administration faces two problems in selling its narrative: the fact that public opinion is a lagging indicator to economic reality (things can turn better before the benefits are widely appreciated), and the more daunting reality that there are limits to what government can do in the face of structural forces (such as technological change) creating deeper income and wealth inequality in our society. As Obama prepares to leave office, Americans are only now beginning to consider his overall legacy, and may soon come to appreciate his efforts to combat economic inequality and restore a sense of fairness and opportunity to American life. Whether his successor will try to build on Obama’s effort, or be able to do so, remains to be seen. Ron Formisano is the author of Plutocracy in America: How Increasing Inequality Destroys the Middle Class and Exploits the Poor (Hopkins, 2015) and professor of history emeritus at the University of Kentucky. Primary Editor: Jessica Suerth. Secondary Editor: Andrés Martinez. *Photo courtesy of Gage Skidmore/Flickr.